You can erase wrinkles today without surgery. Chemical peels are one of today’s most popular anti-aging options proven to effectively reduce wrinkles and pigmentation. Years of sun exposure, smoking, pollution, poor eating habits and other lifestyle choices accelerate the speed of skin aging resulting in unhealthy looking lines, wrinkles and leathery skin. Chemical Peels are one proven option to effectively reduce these unwelcome signs of facial aging and lifestyle damage. A good peel can make a big difference in not only how you look – but in how you feel about yourself also. Chemical peeling is a refining technique used to improve the skin’s appearance. 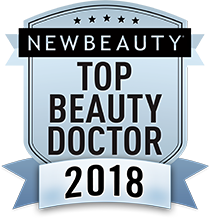 This is achieved by removing the outer layers of sun-damaged, blemished, unevenly pigmented, blotchy skin – or pre-cancerous growths by applying a chemical solution to the skin. This causes removal of the damaged skin and replacement with healthy new skin. Chemical peels are used to treat fine lines and wrinkles, especially those found under the eyes and around the mouth. Solutions are formulated in multiple strengths to accomplish peels at varying levels of depth. Peels are the perfect antidote for deeper wrinkles and dull – looking skin. Any man or woman who wants to restore a more youthful appearance and glow to the face by removing sun damaged skin, age spots, blotchiness and fine lines could be an ideal candidate. Dr. Yeh can determine during your personal consultation if Chemical Peels would be the right choice for you. You should be in otherwise good health and be capable of having realistic expectations. Light Peels use solutions ofAlphahydroxy acids (AHA), Betahydroxy acids (BHA), or low strength Trichloroacetic acids (TCA). These are often called “Light or Lunch-hour” peels. These solutions are the mildest form of peel used to smooth rough, dry skin and improve the texture of sun-damaged skin and mild acne. The AHA solution can also be mixed with a bleaching agent to correct or improve pigmentation problems and may be used as a pre-treatment in preparation for a stronger TCA peel or for laser resurfacing. Two or more treatments are usually needed for optimum results. Flaking, redness, dryness and mild irritation are common – but resolve in a few days. Medium Peels treat skin with moderate sun damage, surface wrinkles and uneven skin tone/pigment problems. Varying strengths can be used to adjust the depth of the peel. You may be given a light sedation to assure your comfort as some patients may experience a warm or burning sensation. Flaking, redness, dryness and irritation are normal and to be expected during healing. Deep Peels require use of high strength Trichloroacetic acid (TCA) or Phenol, the strongest chemical peel solutions. They achieve the deepest peel and the most dramatic results by smoothing coarse wrinkles and are also used to remove pre-cancerous growths and to correct blotchiness. Flaking, redness, dryness and irritation will occur along with minor crusting. A dressing will be applied after your peel is completed. Tingling or throbbing sensations are common and to be expected but are easily managed with mild pain medication. Swelling will be significant – but subsides over a few days time. Crusts or scabs that form will slough off in a week to 10 days. Most patients are then able to resume normal activities – except for sun exposure in the initial healing period.